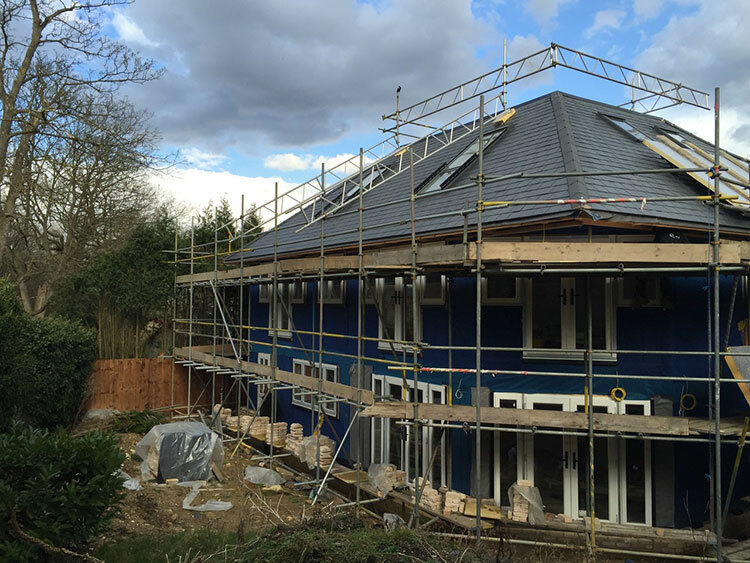 Commercial and residential roof construction services in Southampton, Hampshire. Specialise in luxury property construction in and around the Hampshire district, UK. We work with only the best products and suppliers to deliver a high-end finished product. Should you wish to work alongside A & M Pople Roofing Specialists during the construction process, we are happy to build a property to your exact requirements. Innovative building methods, techniques and materials. Environmentally aware, carbon footprint conscious. Skills to manage modern and traditional, commercial and domestic builds. Professional experience in timber frame housing. Our professional team will provide a full roof assessment and advise the best long term solution. A & M Pople Roofing Specialists vast experience enables us to quickly and professionally provide you with a secure, reliable replacement roof in-keeping with your properties character.